April 21-27 is Preservation Week! Preservation Week was created by the American Libraries Association to bring attention to preservation matters in libraries and to help the public maintain their own collections. 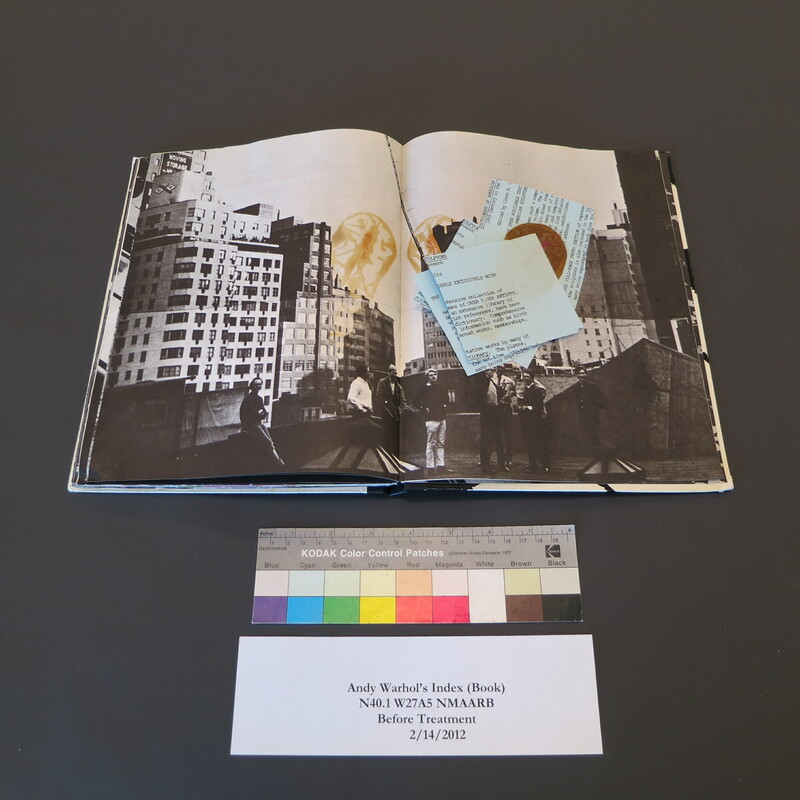 In honor of this event, we will be featuring preservation-related content on the Smithsonian Libraries’ blog as well as our other social media outlets, like Facebook, Twitter and Tumblr. We encourage you to join the conversation! And if you’re in the DC area, check out our free event on Wednesday, April 24th! The Conservation Lab received a very interesting patient from the American Art Museum/National Portrait Gallery Library recently. 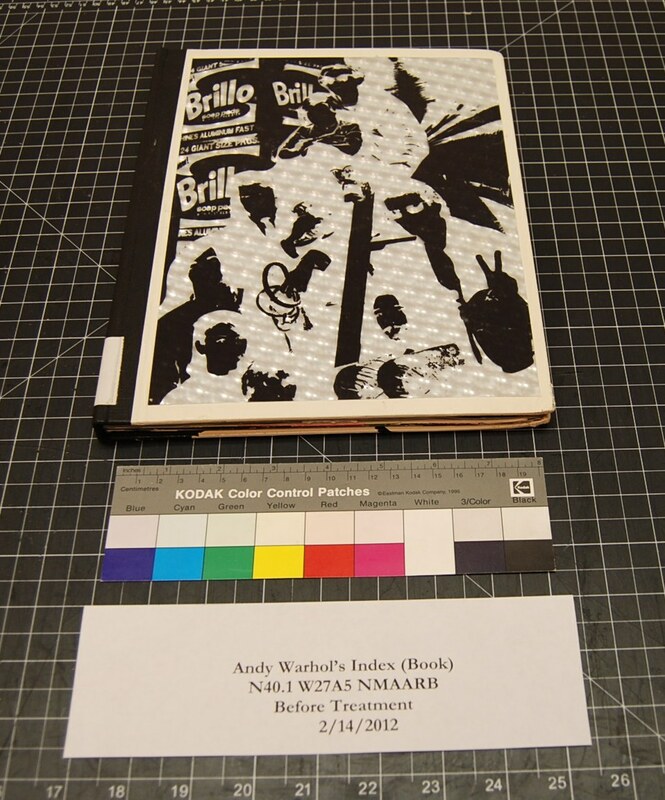 The book is “Andy Warhol’s Index Book” designed by the artist in the 1960’s experimenting with the idea of the book as a work of art. The balloon presents a variety of conservation issues. First of all the balloon was wrapped in paper, presumably to protect the pages of the book that had already sustained some off-setting from the degrading balloon. In order to determine the best way to remove the paper from the balloon we need to know the composition of the balloon. 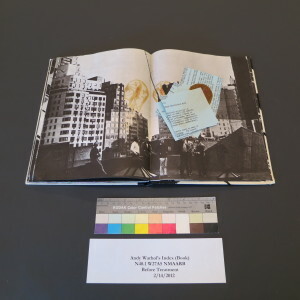 Stay tuned for part two of this post with a collaboration with the Smithsonian Archives and the Museum Conservation Institute. 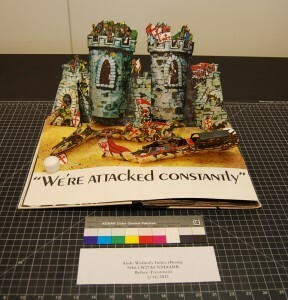 What an effort to preserve such an intricate book, or piece of art! 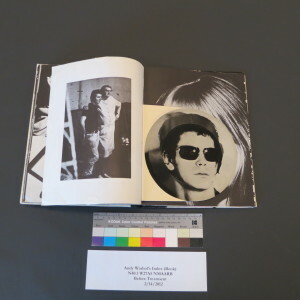 There are probably good examples of Andy Warhol’s more popular and well known advertising art, but it is great to preserve other pieces by Warhol. 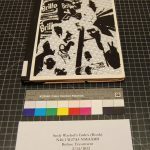 Could you repair my copy of the same Warhol book? I look forward to the resolution of the balloon complication. In our copy at Middlebury College the balloon is firmly affixed to the pages of the book and I think that’s the case with most copies. If you figure out a way to safely remove the paper from your balloon please let us know. Thanks!